It was with great excitement last Thursday that CMM presented the inaugural Capital Young Professional Awards, honoring some of our community’s finest men and women. We would like to thank everyone who nominated so many excellent local young professionals this past November and December! We were thrilled that community participation brought in more than 70 entries of outstanding young professionals. It was a truly difficult process to determine the top 20 who were then reviewed by the CMM team along with a committee from United Way of the Midlands. After a weeks-long process, we then selected the top 10 who then went through an interview process before being confirmed. We extend our hearty congratulations to the official 2017 Top 10 Capital Young Professionals, featured in our current May issue. 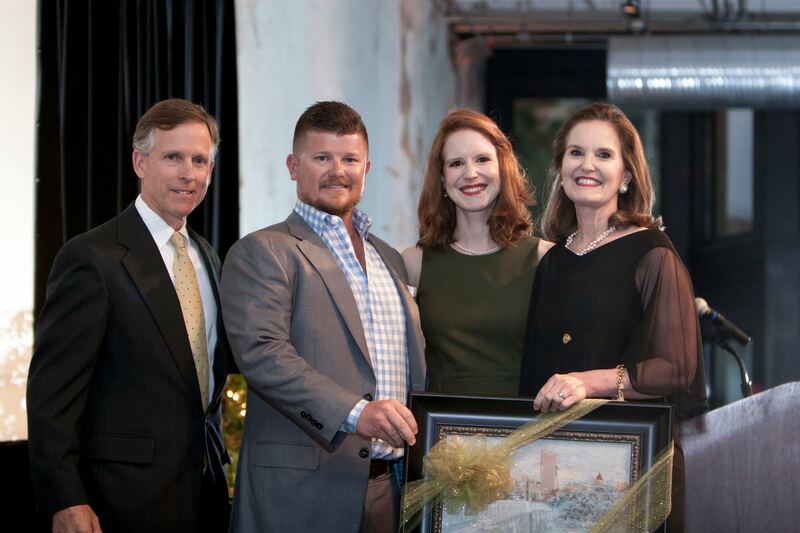 On April 20, we enjoyed a wonderful evening at 701 Whaley for our first CYP celebration. As the evening ceremony came to a close, it was our distinct pleasure to announce the 2017 CYP Awards winner –– Joseph Walker III. The acceptance speech he gave was indicative of the many reasons he was selected as our winner. We hope you enjoy his message. Wow … Thank you on behalf of my team. Thank you also to Columbia Metropolitan Magazine and the Clay family for putting forth the effort and resources to bring about this award and event. I would also like to thank Hammond School for the nomination. What an incredibly humbling honor, not just to receive this award, but to even be considered in the same company of such an impressive group of young professionals. All credit for this success goes to my teams, both my family unit team as well as my professional team. 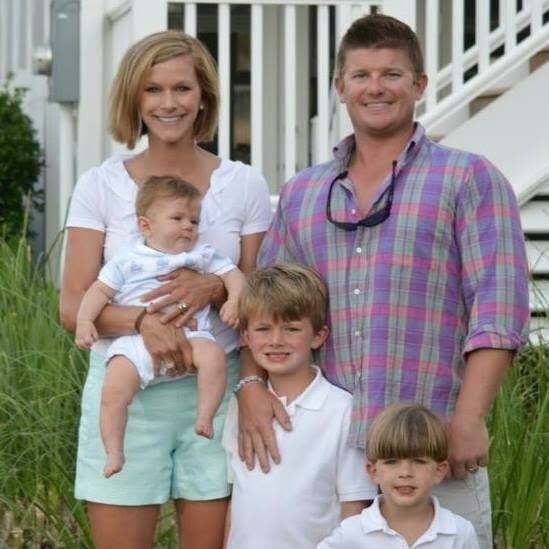 My wife, Haley, is an incredible woman, my rock, who I cannot begin to thank enough. When I am weak, she is strong, both physically and spiritually, and there is no greater gift than such a woman. I am also incredibly humbled to have such talent working hand in hand with me, and I want them to stand and be recognized. This team is the reason I am standing here today. They are beyond impressive. In preparing for the potential of accepting of this award, I realized that there is yet another team from which I draw incredible inspiration, motivation and moral guidance that I also want to recognize. This team is on stage with me now; standing in a squad wedge formation, a formation that is used in infantry combat when walking into impending conflict which represents a posture of strength and cohesive team preparedness to face any enemy. I stand at the point of this triangle, with six shadows in support. 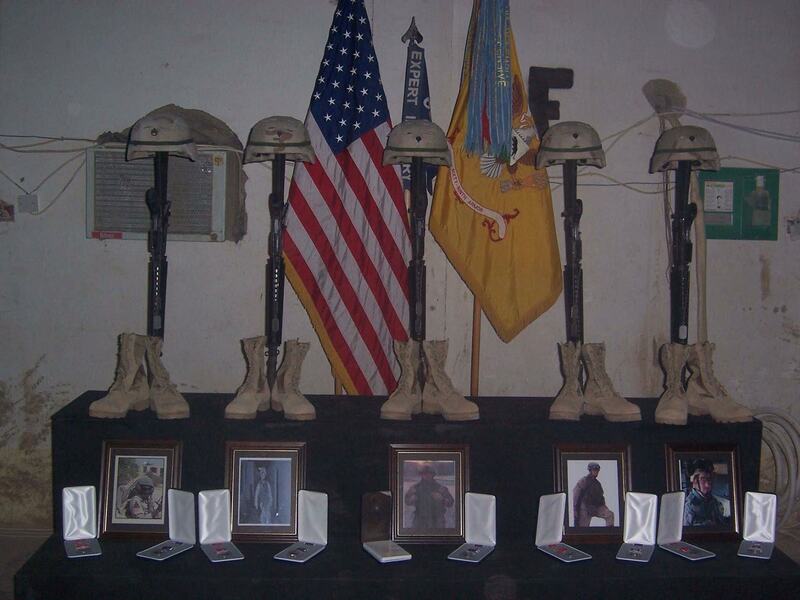 These six shadows represent the six men –– fathers, brothers and sons –– who died under my watch while fighting our nation’s enemies abroad. These six shadows go everywhere with me, in this support formation, much like they did overseas. We continue to face daily dangers, decisions, opportunities and pitfalls together, yet I am the earthly point man. Joe shares that this photograph captures the face of sacrifice –– five men killed in one engagement with the enemy. I used to struggle with this concept; what some would call survivor’s remorse, what others may call guilt, and even others call a burden. I used to feel that weight. This past Easter Sunday I sat in the pews of First Presbyterian Church, a place where I feel at home yet a place where I always find my mind wandering back to those six shadows, the others who survived –– the memories, those moments. As I listened that Sunday, it was as if Dr. Derek Thomas spoke directly to me. I listened as he outlined a story passed on to him about a veteran long since deceased who used to tell the story of his having been sunk in a submarine by a German U-Boat in WWI. This veteran battled depression all his life and never got over the trauma of having been stuck at the bottom of the ocean and losing many a man after being torpedoed. You see, in his mind, that is where the story ended. He failed. He had been sunk. He no longer had purpose. The reverend then made an astute observation. He pointed out that for the veteran to be standing before him today, that he had to have survived, found a way to the top of the ocean and furthermore been rescued by some type of vessel. The reverend insisted that there was, in fact, more to his story. You see, this vet was so stuck on the memory of trauma and hardship that he failed to see the rest of his story and, therefore, the blessing that was the remainder of his life. Well, I am here. I stand before you today humbled at the chance to be the earthly point man for my shadow team and the incredible blessing that is the earthly life I’ve been given thus far as well as whatever earthly life I have remaining. More importantly, I look forward to the immeasurable blessing of life eternal in the presence of God. I now know that it is not my job to seek my purpose, or wonder “Why am I here,” for I now understand that the very fact that I am here means God has a purpose; my life is His to have, to use and to take as He sees fit. My shadow team has the ultimate point man –– his name is Jesus, and he has already died to protect us. This is the unbelievable grace of the Gospel, the freedom to live life knowing you’ve already won, that someone ran the race for you and the trophy is yours to keep. I hope that you can find the rest of your story, that you can look past being stuck in a sunken submarine on the ocean floor and understand that the very fact that you are sitting here tonight means you have purpose. The Lord does not make mistakes. My prayer is that this platform, this award, and any other opportunities I’m afforded and blessings I am granted on this earth, will all be used for His glory.